So far you have or own an account with any of the following banks, GTB, Diamond Bank, Access Bank, FirstBank, Unity Bank, Union Bank, Skye Bank, FCMB, Sterling Bank, Heritage Bank, UBA, Fidelity Bank, EcoBank, Wema Bank, and Keystone Bank, then you can easily buy airtime/credit directly from your bank account . You can also buy airtime for friends or relatives, but it requires you to have an atm card with the bank as it will require the last 4 digits of the number on your ATM card during the process. 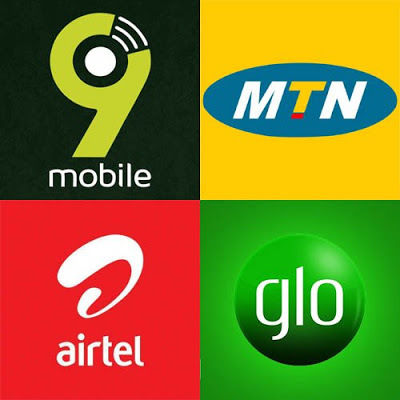 I have listed below the various ways of buying airtime from GTB, First Bank, FCMB, Diamond Bank, Access Bank, Stanbic IBTC Bank, Fidelity Bank, Union Bank, Skye Bank, Heritage Bank, UBA, Unity Bank, Keystone Bank and Sterling Bank. Simply Dial *737*amount# and SEND from your mobile phone (This is accessible using all types pf mobile devices). E.g. *737*1000#. Simply Dial *894*amount# and SEND from your mobile phone. E.g *894*1000#. Simply Dial *901*Amount# and SEND from your mobile phone. E.g *901*1000#. For Customers banking with Fidelity Bank, to top up your mobile with airtime, simply dial *770*amount#. E.g *770*1500#. The Maximum you can recharge is N5,000 per day. Here you go with all you need to know on how to buy airtime from any Nigerian banks listed above. If you have any question dont forget forget to use the comment box below. thanks for reading, have a nice day.